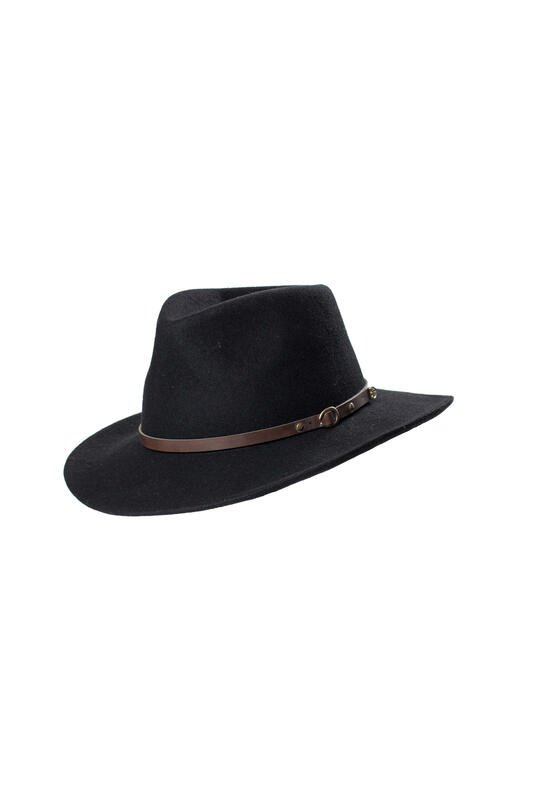 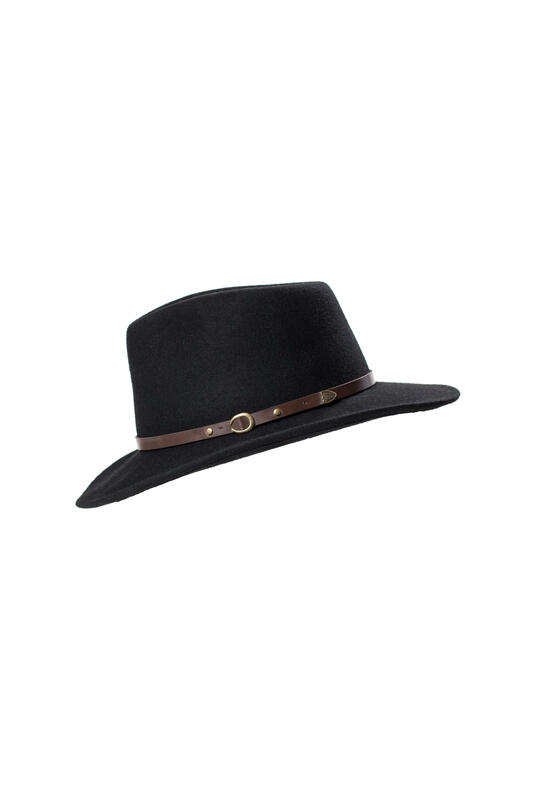 A black Safari/Cowboy hat made using 100% wool felt and a Teflon coating. 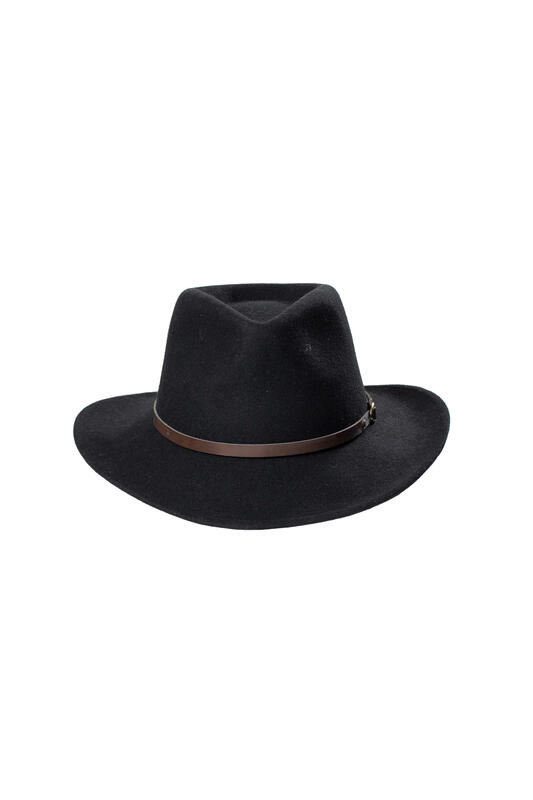 With a brown leather band and comfortable cotton sweatband. 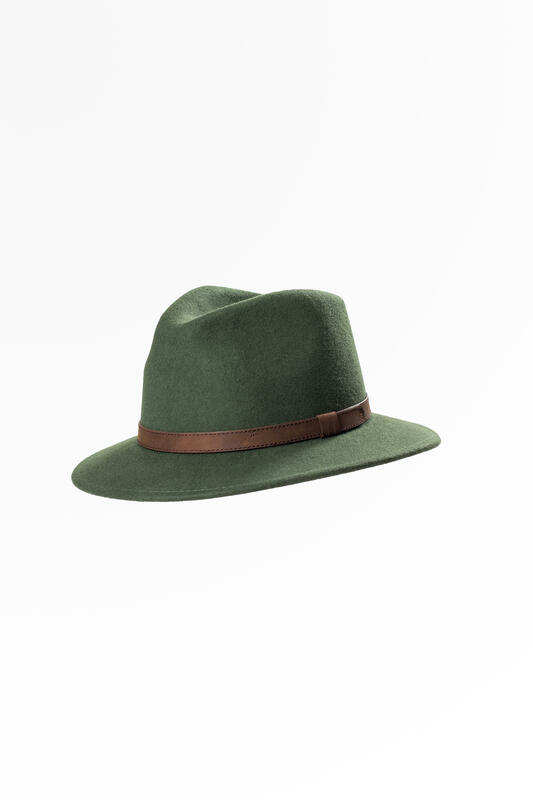 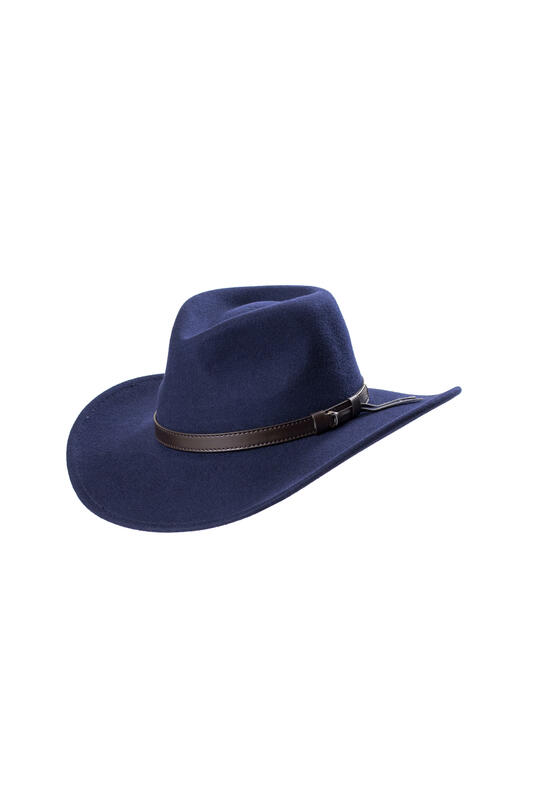 This hat makes the perfect travelling companion for the adventurous!